Enjoy a stately dining chair that is built to last thanks to the Grosseto Dining Chair. This dazzling dining chair features reclaimed leather upholstery that gives the piece an ultra-modern appearance. In addition, the dining chair boasts a unique folded-back design and score lines along the seatback to add a hint of elegance in any dining space. Choose a dining chair that pops in a modern or traditional setting � the Grosseto Dining Chair. Reclaimed leather upholstery guarantees the dining chair will maintain its appearance both now and in the future. 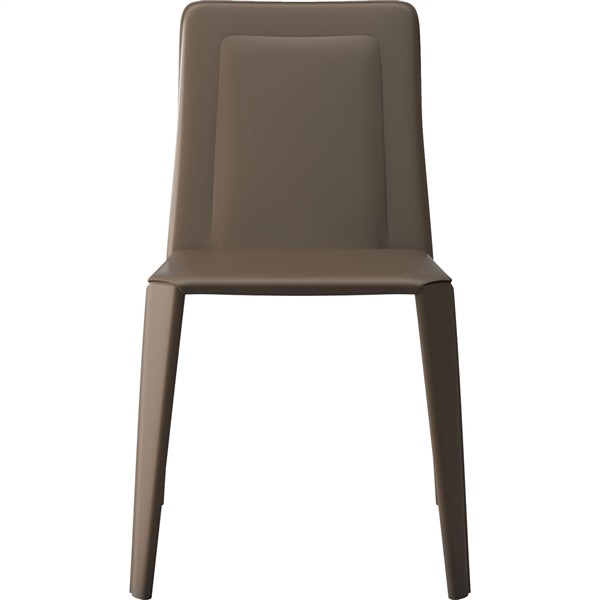 Folded-back design gives the dining chair an ultra-modern look and feel. Score lines along the seatback add a hint of glamour to a dining space's d�cor. Steel frame and legs guarantee tremendous strength and stability. Sold in multiple attractive colors.